Recombinant 153 aa human IL-1beta produced in E.coli. MW of recombinant IL-1beta 17kDa, with the N-terminal amino acid at position alanine 117. This is the cleavage site generated by the IL-1beta converting enzyme (ICE, capase-1). 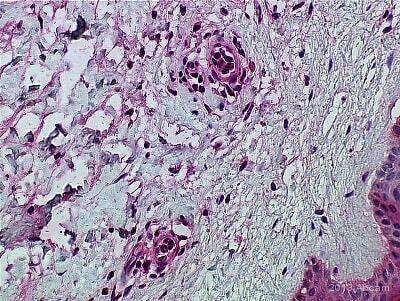 Immunohistochemistry 1/100 to 1/200 (paraffin or cryofixation can be used; 1/100 for staining intracellular IL-1beta). ELISA 1/200 to 1/1000 (this antibody is best used as the second antibody with a monoclonal as a capture antibody). Radio immunoassay 1/8000 Neutralization of IL-1beta activity in bioassays 1/100 ( >4 hours incubation, normal rabbit IgG as negative control) FACS analysis - caution, F(c) domain of rabbit IgG may interact with cells non-specifically. IgG from whole rabbit serum purified by DEAE fractionation. Our Abpromise guarantee covers the use of ab2105 in the following tested applications. 1/1000 - 1/2000 (antigen - supernatants or lysates of 2 x 106 endotoxin-stimulated human PBMC. Denatured 31kDa precursor IL-1beta will be recognized, but often migrates as a 35 kDa band). IP Use at an assay dependent concentration. 1/400 - 1/800 (pre-clearing with a non-specific rabbit IgG is helpful to reduce background). F(c) domain of rabbit IgG may interact with cells non-specifically! Neutralising 1/100. Neutralization of IL-1beta activity in bioassays 1/100 ( >4 hours incubation, normal rabbit IgG as negative control). ab2105 does not neutralize the biological activity of murine, rat or rabbit IL1 beta. 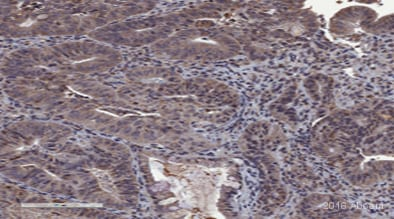 ab2105 at 1/20 staining human liver tissue sections by IHC-P. The cells were paraformaldehyde fixed and a heat mediated antigen retrieval step was performed. The tissue was incubated with the tissue overnight at room temperature. 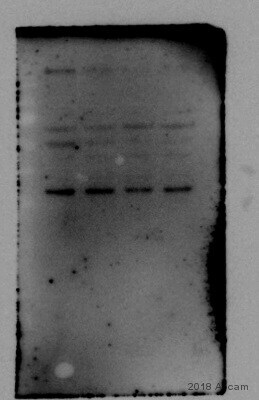 A biotinylated donkey anti-rabbit IgG was used as the secondary antibody and this was detected using streptavidin HRP. 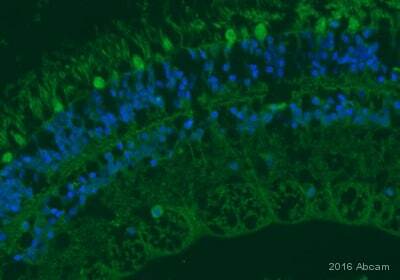 Immunocytochemistry/ Immunofluorescence - Anti-IL-1 beta antibody (ab2105)Image courtesy of an anonymous Abreview. 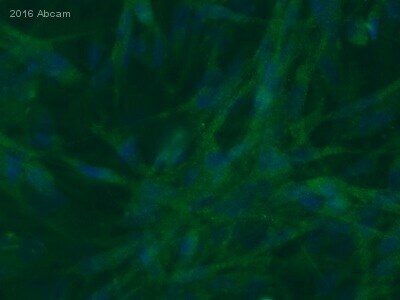 ab2105 staining IL-1 beta in human keratinocytes by Immunocytochemistry/ Immunofluorescence. Cells were fixed in methanol, permeabilized in 0,1% Saponin / PBS and then blocked using 4% BSA for 30 minutes at 25°C. Samples were then incubated with ab2105 at a 1/100 dilution for 2 hours at 4°C. 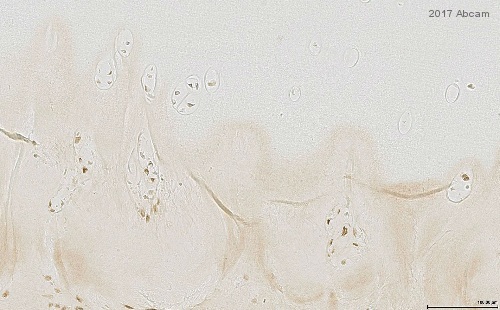 An Alexa-fluor 488 conjugated goat anti-rabbit polyclonal was used as the secondary antibody at a 1/100 dilution. ab2105 staining IL-1 beta in Human monocytes by Flow Cytometry. Cells were fixed with paraformaldehyde and permeabilized with 0.1% saponin in PBS. The sample was incubated with the primary antibody (1/500 in 0.1% saponin + 1% FCS in PBS) for 45 minutes at 4°C. 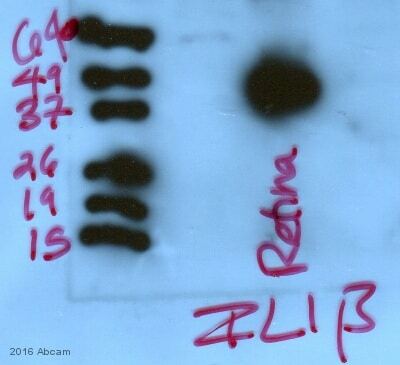 An Alexa Fluor® 488-conjugated Goat anti-rabbit IgG (1/100) was used as the secondary antibody. 1 - unstimulated monocytes. 2 - monocytes stimulated with LPS. Observed band size: 17,30 kDa why is the actual band size different from the predicted? Both mature and pro-IL-1beta bands, p17 and p31 were detected by ab2105 in supernatant from THP-1 cells stimulated with LPS. Only pro-IL-1beta band (p31) was detected in supernatant from THP-1 cells not stimulated with LPS. Publishing research using ab2105? Please let us know so that we can cite the reference in this datasheet.